Welcome, Mary Elizabeth! We’re so glad you could join us for this completely legit and not-at-all fabricated Q&A session. Let’s get started, shall we? A: Um, Mary Elizabeth. Summer. I go by Mary Elizabeth. Q: What is your quest? A: … No one expects the Spanish Inquisition! Q: For real. What is your quest? A: Okaaay. I’m a young adult novelist. I write suspense mostly. About bad kids battling worse villains. Q: Oh. Off you go, then. Q: How did you come up with the idea for your debut novel Trust Me, I’m Lying? A: Well, I’d been watching a lot of Leverage and White Collar and I thought, man, I’d love to read a YA book about a teenage grifter. Once you say ‘man, I’d love to read that’ then you know you have to write it. Q: So Trust Me, I’m Lying is about a teenage grifter? Huh. I thought it was about the manipulative strategies of the media. All right, then. What is grifting anyway? A: Grifting is what a con artist does. It involves manipulative strategies, just not on the part of the media. Another term for grifting is ‘social engineering.’ For a break-down of the 10 basic cons from my protagonist Julep’s perspective, check out this guest post I wrote. Q: I see what you did there. Clever. So, if your protagonist is a criminal, how do you expect us to sympathize with her? A: She has a lot of things going for her, despite her nefarious nature. She’s kind to homeless people, she’s blindingly loyal to her friends (though she’d never call them that), and most important, she has a line she won’t cross. That line might be a bit further back than your line or mine, and it might be a bit broken in spots, but if something turns out to be Very Much Not Right in Julep’s book, she’ll move heaven and earth to fix it. Q: Let’s talk about these friends. She has a hacker as a sidekick, right? A: That’s right. Sam is her right-hand man, and has been since the fourth grade when they started pulling the Three-Card Monte scam on their classmates together. He gravitated toward the computer side of grifting, while Julep focuses on the people part. But though they’re partners, Julep is definitely the leader of the pair. Q: And where did Julep acquire this unusual skill set? A: From her father, Joe Dupree. Joe is an old-school grifter with a weakness for the ponies. But he loves his daughter deeply and taught her everything he knows. I’ll let you in on a little secret about Joe, though. Julep thinks Joe taught her because he wants her to follow in his footsteps. But nothing could be further from the truth. Joe taught Julep every trick he could to help her survive what he knows is coming for her. A: Yeah, I’m not telling you that. Read the books. A: Yep. Two so far. The third is in the planning stages. Q: So there will be three? Q: What else have you got on the horizon? A: I’d tell you, but then I’d have to kill you. *laughs* Don’t look so scared. I’ve never actually hurt anyone for real. Only in fiction am I violent and merciless. But to answer your question, I’m working on a reform school standalone novel, and I have an idea or two in the works for some other exciting (to me, anyway) projects. Q: Well, thank you, Mary Elizabeth, for joining us today. Any final words for our readers? A: You, me, and 63. 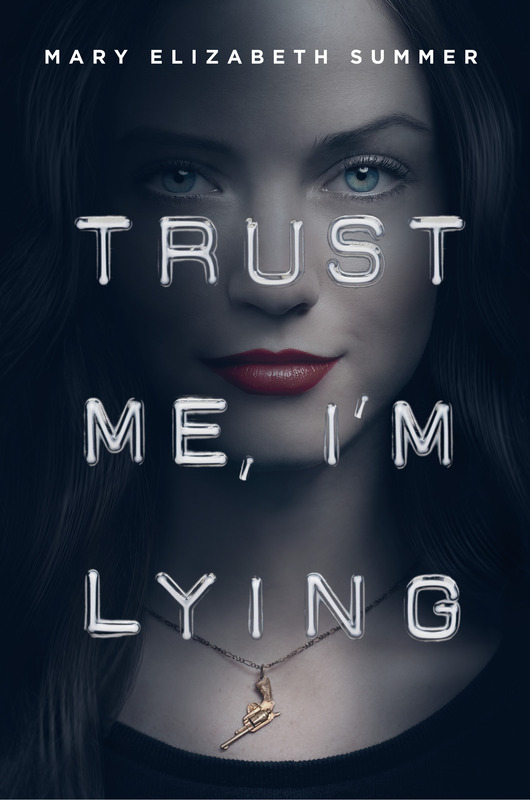 Is the third book in the I’m lying series only in e-book version? Currently in the Trust Me series there are two novels and two novellas that come between those two novels. The two novellas are in ebook form only. The two novels are both in print and are out in the wild! 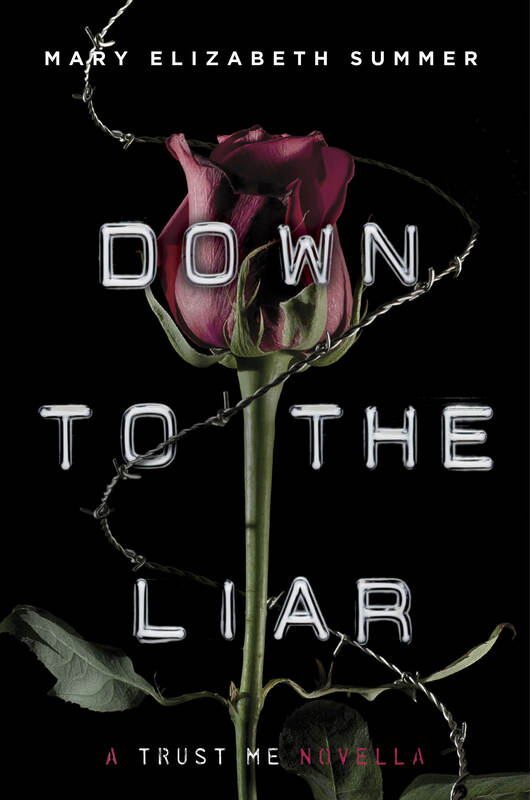 So if you’re referring to DOWN TO THE LIAR as the third book in the series, then yes–it is only available in ebook. 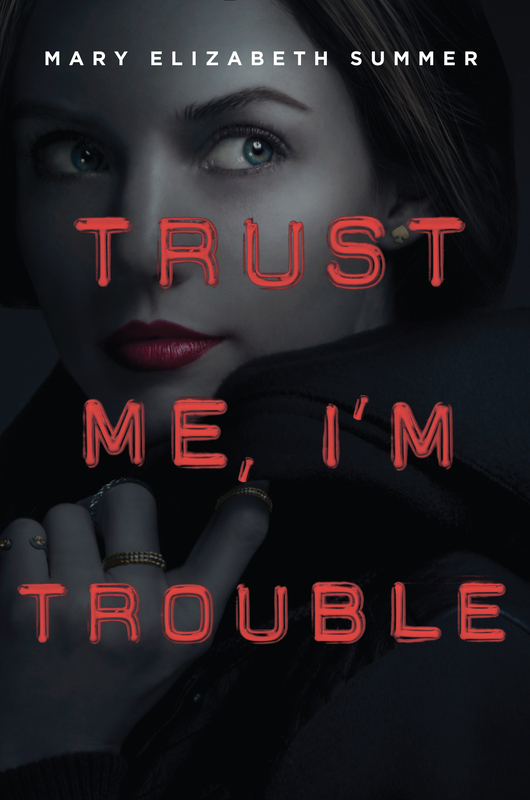 The third full-length novel in the Trust Me series has yet to be written. Hi. I absolutely love your books, and I was wondering when the third full length book in the series might be published, that is, if you plan to publish it soon? Also, I am so happy that white collar is one of your inspirations for this series!